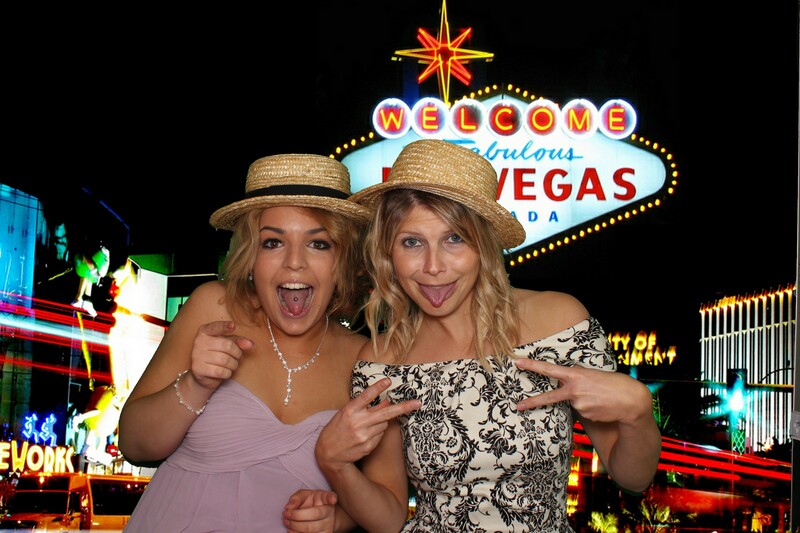 Smiley Booth is a full time photo booth company providing you with a multi-lingual event manager and one or two Smiley Stewards throughout your event. From start to finish Smiley Booth provide a reassuring and easy experience for you and your guests and work with you to compliment your event in every way. By providing lots of options to personalise your photo booth experience via the photo print outs, backdrops, accessories, photo booth, guest book and more. We can customise any elements of your hire to create a truly individual experience and make your memories. We have a range of products, services and photo booths making Smiley Booth the perfect choice for any event from weddings and parties to corporate entertainment and marketing projects. 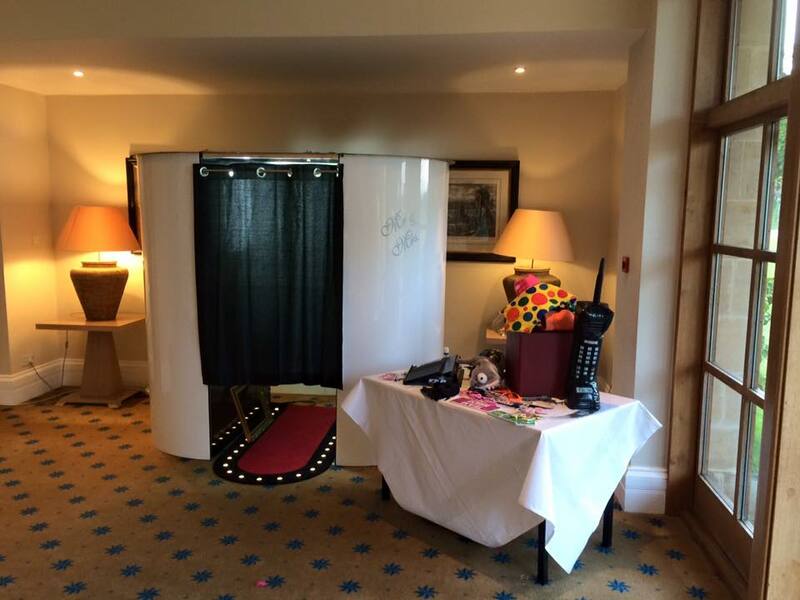 Our photos booths are stylish, spacious and unbranded and our technology is easily adaptable. You can be assured of a top quality service DSLR cameras, HD video messages, digital backgrounds and incredible technology to wow your guests. We also use studio quality lighting to produce flattering photos of every guest, touchscreen interfaces and lab standard dye-sublimination printing giving you touch dry photos in seconds. Smiley Booth started in the UK and uses leading technology developed in the United States. 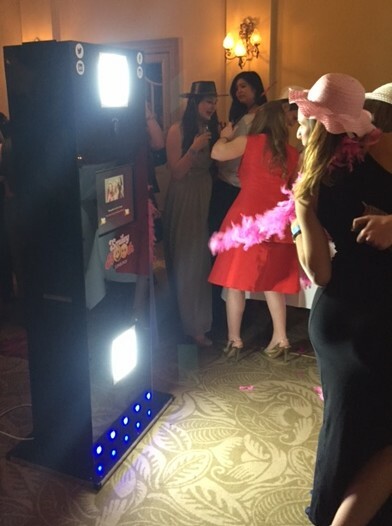 Although photo booths are relatively new in France, Smiley Booth has a long and successful history in the event industry and have literally made thousands of people smile. Smiley Booth has won several awards for their business, been booked for many diverse and high profile events and been featured in Print and Television media. Our packages providing are all inclusive providing everything you need to create a truly memorable experience. We can also create bespoke quotes with everything you require for your event included such as set up, travel and site visits. Our green screen options provide an interactive experience for all ages. Transport your guests from under the sea to outer space, have their photo taken with their favourite celebrity or sporting hero. Anything is possible. Guests at your event stand or sit in front of a green screen background and have their photos taken, our state of the art technology then swaps the green background with whatever background they’ve chosen. These can be preset by your or chosen by your guests. We then theme an overlay to match the background making your guest appear in the scene. As always these photos can be personalise or branded, printed in seconds and/or shared on social media. 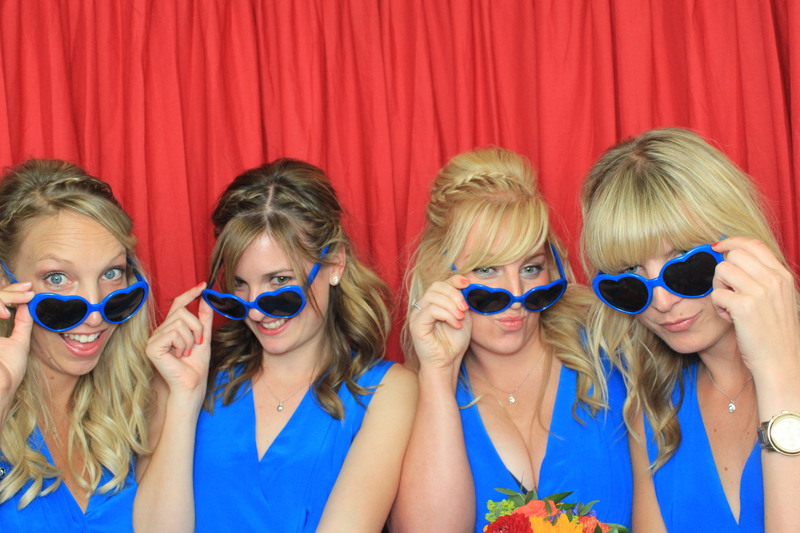 Make a great first impression with a luxury photo booth. Our oval shaped, seated photo booths are ergonomically designed to be spacious, strong and stylish. Our technology includes multi-touch monitors for a seamless user experience, studio quality lighting and DSLR cameras to ensure flattering images for every guest. Fast, touch dry prints are produced from lab quality dye-sublimination printers to ensure your photos last a lifetime. #Hashtag Printing enables photos to be printed directly from Instagram & Twitter LIVE at your event. 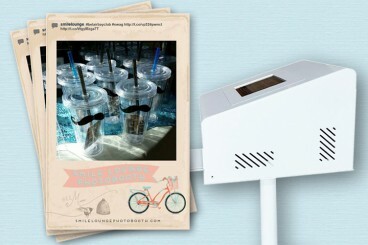 Guests simply take or find your photo, share with the given #Hashtag and the print station will do the rest. We can provide a slide show of all the images with the hashtag and either automatically print them all, creating a photo wall where guests can collect their photos or invite guests to choose which of their photos to print using a touchscreen monitor. #Hashtag Printing is the perfect partner for corporate events creating a trend around your event online. You can actively engage with your target audience both at the event and around the world and therefore increase your brand, event or product awareness before, during and after the event. Smiley Print is the UK’s first event service to enable your guests to print their phone or table photos in seconds combining the immediacy and convenience of digital photography with tangible photos that we all love and miss. Create a cherished guestbook filled with photos and messages from friends and family or maybe a fabulous talking point with a display of photos from your event. 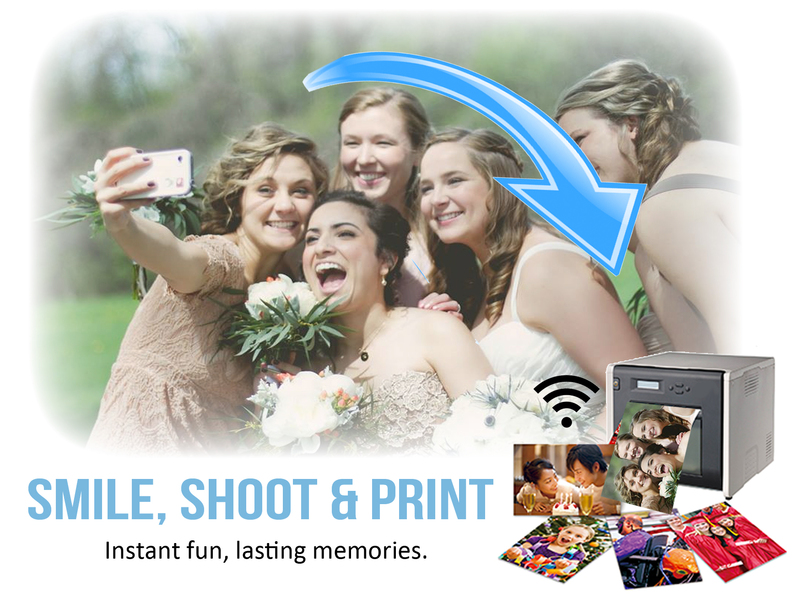 Smiley Print stores copies of all your guest’s photos in one place so you’ll never miss those spontaneous, candid moments again. The Smiley Tower offers and open style/ studio environment that creates a socially interactive experience for the larger groups. In fact the whole crowd can be involved as people love watching just as much as they enjoy having taking part. The same technology is provided with our tower booths with an optional background to include greenscreen imagery or an fully designed background theme. Just let us know what you what and we can make it happen. Smiley Flip Books are created by recording a short video of your guests that is filmed in the photo booth or against a backdrop. In just a couple of minutes the images are transformed into a 40 page book that when flicked through plays the video. Flip books are a fantastic souvenir or favour from an event and can be personalised with names/dates or branded with a corporate logo. The flipbook leaves a lasting impression and can be used to create an immersive experience. An animated GIF is the digital version of the flip book. This service can be included in a flip book hire or booked independently producing digital files that can be shared online. We can also embed QR codes within a still image so that the animation is played when the viewer looks at the image using a dedicated phone or tablet app. Live View brings your photos to life like magic. Guests are invited to create a short video from which a photo will be printed. Now here comes the magic… when you hold your phone over the photo or tablet the video is played through an app. It’s magical for both private and corporate events. Imagine filling your guest book with recorded messages from friends and family that come to life, or what about creating a ‘live’ business card. The possibilities are endless.